Find below the products and solutions pre-qualified by the AWS Partner Competency Program to support you in multiple areas including: Networking Connectivity, Direct Connect, Load Balancers and Network Management. Technology that provides network connectivity to AWS, is capable of acting as a router that intelligently forwards packets, manages availability between different network paths, and provides Virtual Private Network (VPN) or Software-Defined Wide Area Networking (SD WAN) services. Aviatrix provides Cloud Networking software for all types of encrypted cloud connectivity. Benefits to customers include cloud agility, cost savings, ease of use for DevOps, and end to end security. Aviatrix helps enterprises accelerate their cloud adoption and realize the benefits of AWS. Aviatrix provides an innovative Cloud Networking software for all types of encrypted cloud connectivity: between site to cloud, cloud to cloud, and end user to cloud. Aviatrix cloud networking system is integrated with AWS at the networking layer. Auto Scaling the VM-Series on AWS utilizes native AWS services (S3, Lambda, CloudWatch, ELB) and VM-Series features enable the VM-Series to scale dynamically, yet independently of your workloads. The VM-Series on AWS complements AWS security groups and web application firewalls by controlling your AWS traffic based on the application identity and preventing known and unknown threats within the allowed application flows. Automation features enable security to be embedded into workflows. APN Partners that provide AWS Direct Connect connectivity to customers. The APN Partner provides hosted connections as well as port based connectivity. The APN Partner also includes greater integration and interaction with AWS Services. Partners that have developed SDN functions to automate end user services. NetBond® for Cloud improves your AWS Direct Connect access by delivering your business applications through a fast and highly secure AT&T Multiprotocol Label Switching (MPLS) VPN connection. Built as a software-defined networking service, NetBond for Cloud enables on-demand provisioning capabilities that gives customers full control over their connectivity. NetBond® for Cloud eliminates many of the struggles with connectivity and accelerates cloud transformation activities. The Beanfield Cloud Exchange and Hyper-Routes for AWS provide businesses with Ultra-Low latency connectivity to strategic AWS Direct Connect on-ramps across the US & Canada. 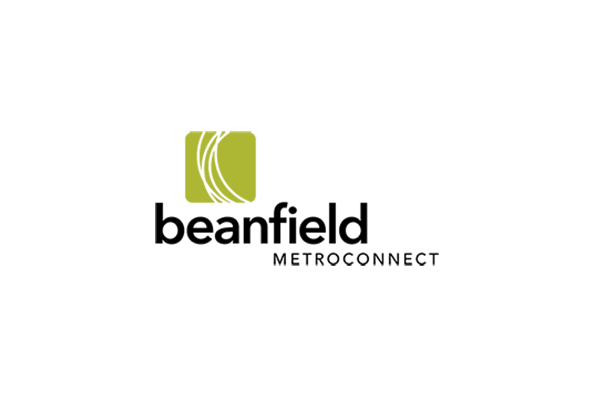 Beanfield provides your business the comprehensive connectivity you need to directly connect your enterprise to the cloud. Available now through the Beanfield Cloud Exchange, Beanfield Hyper-Routes for AWS provide ultra low-latency connectivity for Beanfield network customers to strategic AWS Direct Connect locations across the United States & Canada. Predictive and reliable network performance. On-demand real time connectivity and pay-per-use experience. Secure access to core apps. TCO optimization. We provide high bandwidth private connectivity to AWS Cloud as a key enabler for user experience when digitally transforming the business. AWS Direct Connect allows you to institute a dedicated connection between your network and one of the AWS Direct Connect locations available in CoreSite data centers. Equinix offers dedicated access to AWS Direct Connect in a large and growing number of metro markets to enable predictable, low-latency performance while complying with government regulations and controlling costs. Equinix and AWS provide easy, secure and low-latency connections to AWS Cloud Services in key metro areas globally, facilitating access to a vibrant business ecosystem across diverse industries. Provision and scale connections in 59 seconds via a dedicated portal or API, from 1 mbps to 10 Gbps, connect to multiple regions from a single interconnection point and maintain connectivity while scaling bandwidth to AWS. Megaport is one of the leading Network as a Service provider. Using Software Defined Networking (SDN), enterprise users can connect from 170+ locations to 10 AWS regions & 25+ Direct Connect locations in less than a minute. Scale bandwidth up and down instantly and only pay for what you use. Secure Cloud Interconnect enables customers to simply, securely, and reliably connect to AWS from their corporate WAN with on-demand, scalable, private MPLS bandwidth connections and flexible consumption-based pricing. Secure Cloud Interconnect helps customers control access to critical data with private, secure, and reliable MPLS connections. It facilitates business agility by providing quick and scalable connectivity to AWS with pre-provisioned, high speed virtual connections and consumption-based pricing. PacketCOR offers direct, secure, and private connectivity to AWS. PacketFabric is a network-as-a-service platform, combining SDN-based architecture with the latest in optical and packet-switching technologies. We empower customers to instantly turn up and manage connectivity at terabit-scale. APN Partners that provide AWS Direct Connect connectivity to customers. The APN Partner provides network connectivity and infrastructure such as fiber or AWS Direct Connect interconnections. BT Cloud Connect is the service offering that allows customers to connect directly from their private network environment to AWS in locations in Europe, the USA and Asia Pacific, building on BT’s existing extensive global IP Connect network footprint. Our portfolio strategy, the ‘Cloud of Clouds’ allows you to connect easily and securely to the applications and data you need, globally. We have the infrastructure, platform, tools, people, experience and relationships, making us the best partner for you to go on your cloud journey with. CBCcom Secure Cloud Connect, enable enterprises with secure network connection to AWS via our award winning IP network. CBCcom Secure Cloud Connect is simple to provision and ensure security and data protection with private connections over dark fiber. By leveraging InterCloud private connectivity for AWS, enterprises are able to commit on performances and availability of mission-critical cloud applications. InterCloud enables enterprises to extend their on-premises infrastructure to AWS. The InterCloud service-oriented platform provides enterprise-grade, dedicated cloud connectivity with committed SLA-backed service quality. IZO Private Connect seamlessly and securely connects enterprises to AWS and third-party data centres over MPLS or Ethernet through one single provider globally. IZO Private Connect is a predictable, secure, seamless and simplified solution with pre-connected access to AWS. It is quick to provision, and ensures security and data protection with private connections over Ethernet and MPLS providing enterprises agility and flexibility to accelerate performance. Telstra Cloud Gateway provides you with private and dedicated connectivity to multiple cloud platforms. Secure and reliable connectivity, pre-integrated into our IPVPN (Telstra IP network). Telstra's experienced technical, business and cloud experts can work alongside your teams to optimize your I.T. We partner with the best to deliver a range of network enabled multi-cloud solutions that are designed with security, performance, redundancy in mind to enable transformative innovation. We provide mainly 3 services including network service to AWS Direct Connect. Network service, System integration, and Help desk. We help customers to focus own business. We provide not only connection service between user's site and AWS Direct Connect(including Hardware VPN to VPC), but also managed rental router service. Further we can help to construct user's systems, and we can provide help desk service, too. CloudLink by Zayo brings AWS to enterprises by offering secure, direct connections through multiple transport protocol options including Waves, Ethernet, & IP VPN as well as first & last mile ownership. Technology that distributes Network and Application traffic across multiple IP based devices for a service, maintains health status of target services, and supports security services such as SSL/TLS. One of the most comprehensive ADC solution on the market, significantly improving the security, performance and availability of your AWS workloads for an enhanced user experience. 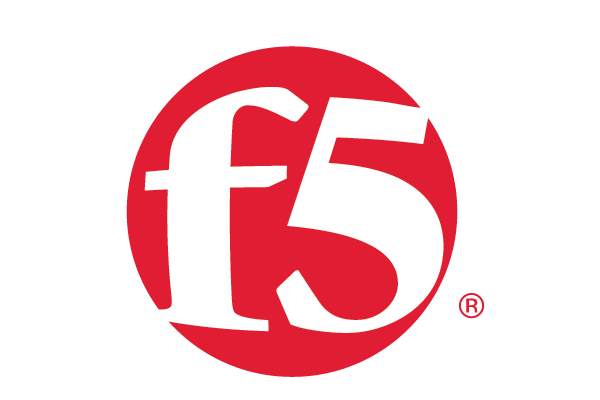 F5's BIG-IP Virtual Edition (VE) provides industry-leading network and application layer security for your apps and data, unified application access control as well as unrivalled L4-L7 load balancing and traffic management capabilities to ensure your AWS applications are always secure and available. NGINX Plus is a high-performance load balancer, edge cache and origin server for web content, streaming media and API traffic. NGINX Plus complements the load balancing capabilities of Amazon ELB and ALB by adding support for multiple HTTP, HTTP/2, and SSL/TLS services, content-based routing rules, caching, auto scaling support, and traffic management policies. Technology that provides network health information, network visualization, and capability to alert and notify on network issues. Dome9 delivers full visibility and control of network security in the cloud, allowing organizations to minimize their attack surface and actively protect against vulnerabilities, identity theft, and data loss. Dome9 Arc lets you visualize network security configurations, assess security posture and risk, actively control authorizations and enforce Principle of Least Privilege, monitor and track changes against security best practices with logging, and prevent deviations from gold standard policy. Gigamon delivers a cloud-native solution that provides network traffic visibility to mission-critical workloads in AWS. The Gigamon Visibility Platform for AWS provides network traffic visibility that enables enterprises to extend their security posture to AWS, assuring compliance and accelerating the time to detect threats to mission-critical applications. Ixia CloudLens provides cloud visibility, allowing users to deploy solutions that auto-scale, elastically load-balance, and self-audit. You can visualize your network, by capturing packet data and forwarding it via a secure P2P VPN. CloudLens, Ixia's public, private and hybrid cloud visibility platform provides granular, packet-level data access in AWS and other service provider environments. With CloudLens you can capture EC2 data, filter and deliver it to security and monitoring tools both in the cloud or on-premises. The ProtectWise Grid fills the cloud management and visibility gap, performing full packet capture of cloud network traffic, automated threat detection and response in private and public cloud environments. Are You Interested in Listing Your Networking Solution? Partners interested in listing their Networking product, solution, or practice must have achieved the Networking Competency through the AWS Competency Program. Note: All solutions on the Migration Partner Solutions webpages are created, sold, and implemented by the third party.